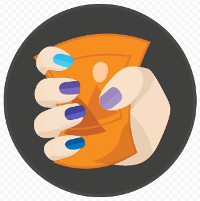 Web developers should check out the new Squoosh App by Google Labs. It's meant to help optimize your images for faster page loading. Just upload your image and it'll return an optimized copy with a side by side comparison of the two. I was able to reduce the background image on this site from 971kB to 214kB with little to no change in quality yet a noticeable difference on page load. Since Halloween I have buried myself in reading, coding, and taking online courses. It's actually quite enjoyable and has been great for polishing up current skills and learning new ones. 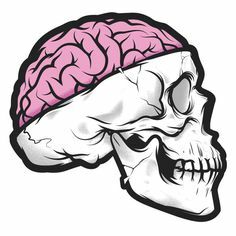 Although some days I do feel overloaded and as if my brain is about to explode. Here is a list of what I am currently dedicating my free time to. I have never felt the need to partake in anything relating to Black Friday in my life. However, this year the Minneapolis Institute of Arts was giving away free tickets on a first come, first served basis to see their new exhibit, Egypt's Sunken Cities. My girlfriend and I decided this was something that we definitely wanted to see and what better way to see it than with free tickets? Friday we got up at 5:30am and after two pots of coffee we finally made our way to the Institute. We managed to get free tickets and the exhibit was incredible. The pieces on display were very well preserved and in amazing shape for being submerged in water for over 1000 years. I snapped a handful of pictures but like most things, pictures don't do it justice. This is something you should see in person if you can. I recommend the audio tour if you happen to go. Here's some verbiage they have about the exhibit on their website. More than 1200 years ago, two ancient cities were lost to natural disasters and the rising tides of the Mediterranean Sea. 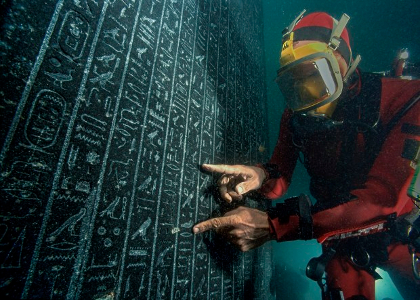 Two decades ago, underwater archaeologist Franck Goddio and his team discovered those cities, revealing monumental statues, religious images carved in stone, exquisite jewelry, and delicate ceramics—and a greater understanding of life during the age of the pharaohs. Don’t miss this epic story of their discovery. If you work with sensitive data or are concerned about your privacy with free email services then you should check out ProtonMail. ProtonMail is an easy to use secure email service with built-in end-to-end encryption and state of the art security features. The company consists of a group of scientists, engineers and developers with a primary focus on security and privacy. Your messages are encrypted at all times. Keeping you safe during any possible data breach. Your messages aren't even accessible by them. So don't forget your password! They have a free account that'll give you 500MB of storage and allows up to 150 messages per day. They also offer up premium accounts if you're in need of more storage, more messages, custom domain, or more customizable options. For more information go check them out at www.protonmail.com. I have been spending a lot of time coding lately. I have rewritten the code for this website to utilize the new CSS3 Grid. I did one rewrite using Bootstrap and even though it was easy to work with and very plesant to look at. I decided it just didn't give me enough control over basic components. 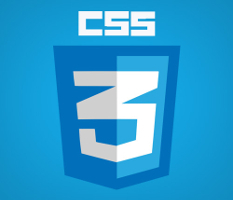 I also personally feel that it is more beneficial to stick with core technologies such as CSS over Bootstrap. I will say it's a great tool. I am currently working on an application that is heavily loaded with form controls and I am utilizing Bootstrap for that. I do appreciate the Mobile first approach it uses. You may notice tweaks here and there throughout the coming months. Doing this rewrite has allowed me to clean up my code which in return will make it easier to add functionality to this site. Most of the changes will happen behind the scenes but you'll see some enhancements to the look and feel throughout the process.